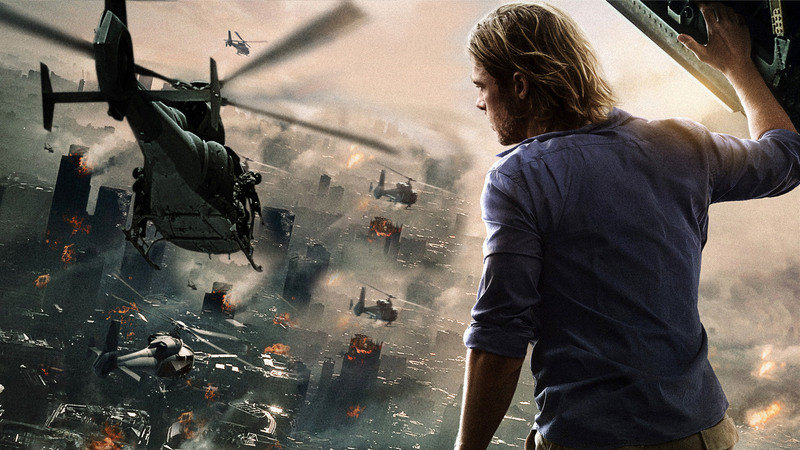 World War Z "is a 2013 apocalyptic horror action film directed by Marc Forster. The screenplay by Matthew Michael Carnahan is loosely based on the 2006 novel of the same name by Max Brooks. The film stars Brad Pitt as Gerry Lane, a former United Nations investigator who must travel the world to find a way to stop a zombie-like pandemic."